The 20 time Grammy Award winner hits the road! 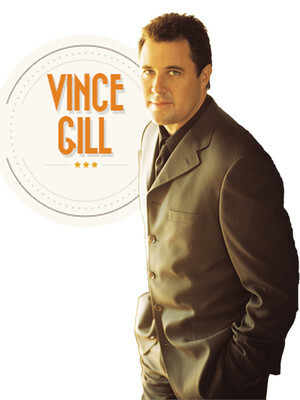 Over the course of his 30 plus year career, Vince Gill has penned some of Country's most indelible tracks, in his solo career and with the influential outfit Pure Prairie League, including Tryin' To Get Over You and I Still Believe in You. Back in 2014, he was awarded the Irving Waugh Award at the Country Music Awards in Nashville. It's an honor bestowed on an individual who has had a lasting impact on the influence of country music across the nation and was a sign of the esteem in which Gill is held by his peers. Don't miss the living legend on tour when he plays near you soon! Sound good to you? 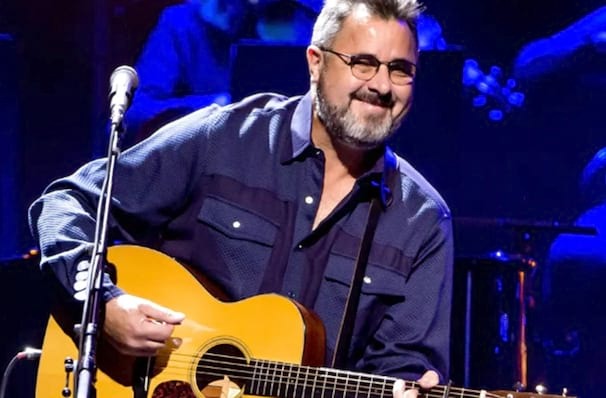 Share this page on social media and let your friends know about Vince Gill at Carpenter Theater. Please note: The term Carpenter Theater and/or Vince Gill as well as all associated graphics, logos, and/or other trademarks, tradenames or copyrights are the property of the Carpenter Theater and/or Vince Gill and are used herein for factual descriptive purposes only. We are in no way associated with or authorized by the Carpenter Theater and/or Vince Gill and neither that entity nor any of its affiliates have licensed or endorsed us to sell tickets, goods and or services in conjunction with their events.